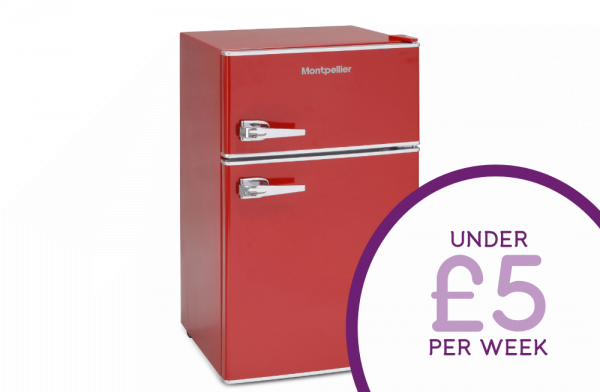 In this range of appliances, the Montpellier have designed this Mini Retro Fridge Freezer which has been inspired by the 1950's culture. This mini is perfect for under the counter placement as its compact in its design. With 2 shelves made from thick glass and bottom compartment to fit in more shopping. This fridge also has 5 different temperature setting and a bright light that lights up the entire fridge. Make this appliance the statement piece in your home as its bold and speaks for itself.